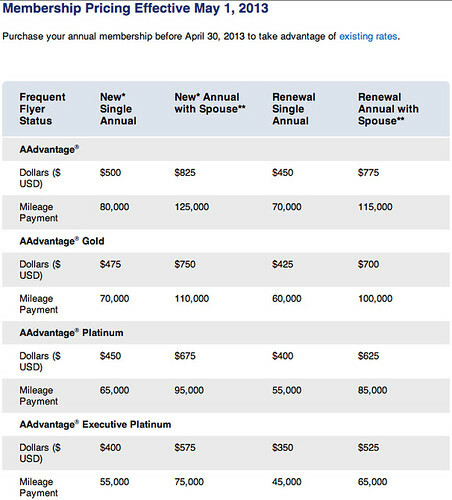 The cost to join or renew your membership to the Admirals Club isn’t going up in price, but those with AAdvantage Elites who receive a discount on the cost of membership will notice a price increase come May 1, 2013. 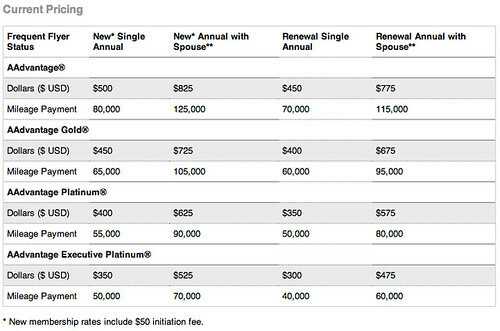 The cost to join or renew will go up $25 to $50 depending upon your AAdvantage elite status and the type of membership you purchase. Members that pay with miles will also notice an increase. You can avoid the price increase by purchasing or renewing before May 1. Go here for more details. Wow. They are hitting EXP renewals with $50 increase (16.7%). May have to look at Amex Plat card. @ pssteve – I was kind of surprised to see such a big increase for EXPs. Ouch! Anyone know of any current renewal discounts? Usually the AC will offer $25 discount when I’m close to renewal time. I will be my Gold Status of Air Berlin who matched my status to access the AA lounges.